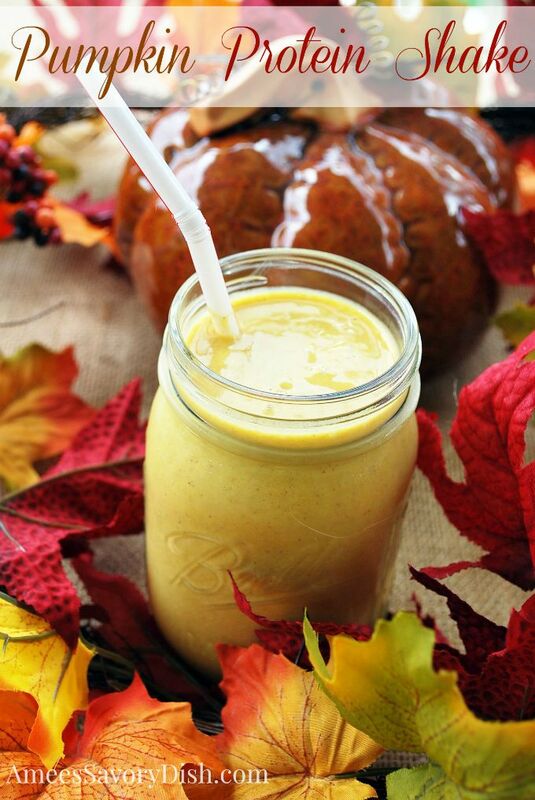 This Pumpkin Protein Shake makes the perfect fall breakfast or snack, loaded with healthy pumpkin puree and muscle-building protein powder. Pumpkins are rich in carotenoids, which are the compounds responsible for giving them their beautiful, bright orange color. One of these compounds, beta carotene is converted into a form of vitamin A in the body, which is good to keep your skin and peepers healthy. They are also a source of dietary fiber, which is great for the waistline. This is my kind of protein smoothie! I actually have about 1/2 C of pumpkin sitting around from recent baking. . .I think I need to make this! Great minds think alike 🙂 I posted a pumpkin drink today too!! It’s that time of year! Emily, I need to try your latte!! Sounds like heaven! I love pumpkin anything!!! I entered your great giveaway. Love those straws!